There’s An Angel Watching Over Me! This will be my first Mother’s Day without my mom. Many of you have reached out to check on me and I am so grateful for your kindness. The truth is, I didn’t know how I was going to feel this weekend. I dreaded this weekend approaching until I literally got sick and had to go to the doctor. Today, I went to the store to purchase Mother’s Day cards for my daughters and daughter in law. 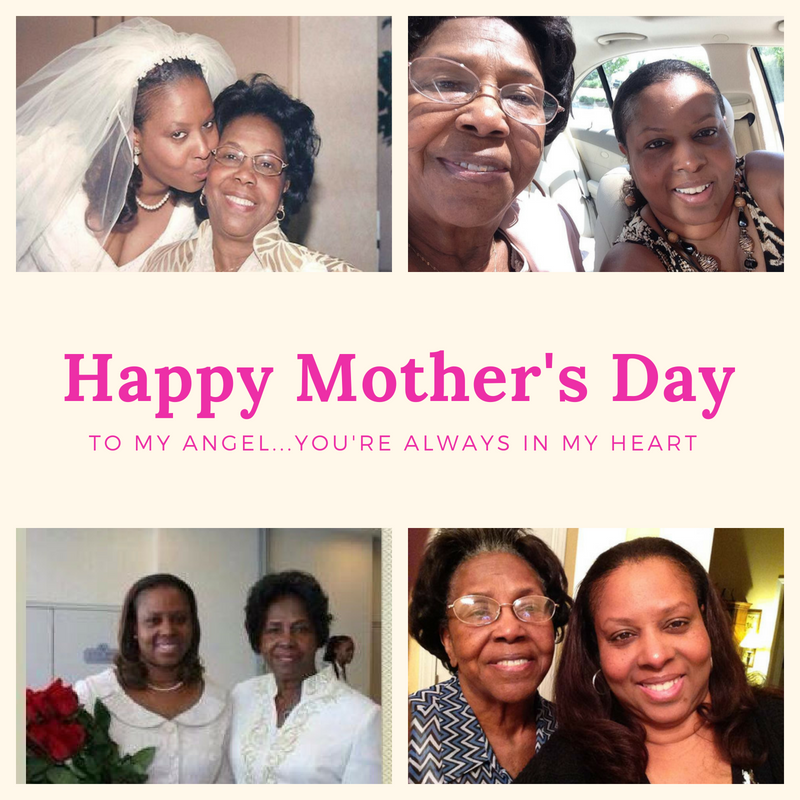 I saw all of the beautiful cards for moms and was reminded that I didn’t have a need to purchase one this year for my mom. My heart became heavy as I sorted through the cards and saw others frantically trying to find the perfect card for their moms. But the more I stood there, the stronger I became as my mind wondered in the world of my mom and me. We were two peas in a pod. I began to remember all the good times we had. And there were lots of them. Boy did we have some amazing mother daughter moments. As I found the perfect cards that I wanted to purchase and began to walk towards the register, I felt my face smile as this overwhelming love began to rise from within me. This was my mom. I could feel her presence. There’s nothing more powerful than a mother’s love. I could literally feel my angel, my mom, watching over me. I could feel her love and her sweet sweet presence. In that moment, I realized that my angel is always watching over me. I made it home from the store and went to check my mailbox for mail. There was no card in the mailbox from mom. She always made sure that she mailed me a Mother’s Day card and I would get it the day before Mother’s Day every year. She was consistent with this gesture ever since I had my first child almost 37 years ago. Even though there was no card in the mailbox, I was okay. Because I had already experienced something more precious than her card. My mother’s presence has been with me almost all day. She came to remind me that she’s only gone from the earth, but never from my heart. She and I had something pretty special that not even death could separate us or diminish it. So to all who are praying for me and checking on me, I am so eternally grateful for you, your love and kindness. I want you to know that I’m doing okay. My Mother’s Day weekend is filled with love, joy and the gift of knowing that I have an angel watching over me.. and her name is MOM. Happy Mother’s Day to You, My Angel!